See more of Susan’s artwork here. Rich colors, patterns, and ﬂat, poetic shapes….each component is a metaphor for the passage of time and the complex relationships in our lives. 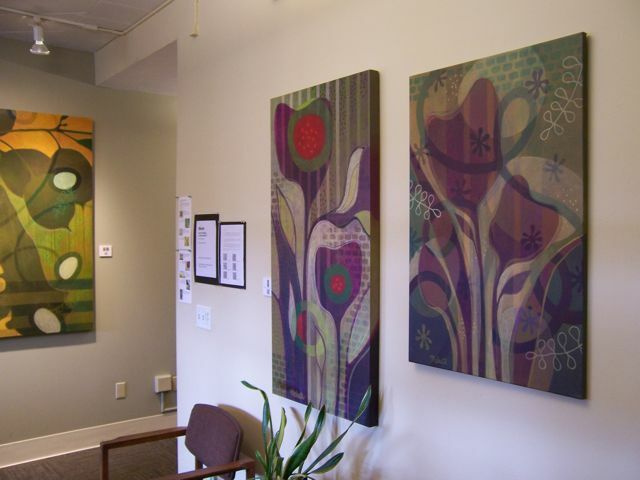 Built around the architecture of ﬂora, my paintings are a celebration of life, growth, and the rhythm of the seasons. I ﬁnd patterns everywhere from textiles and mosaics, to natureʼs cellular shapes. 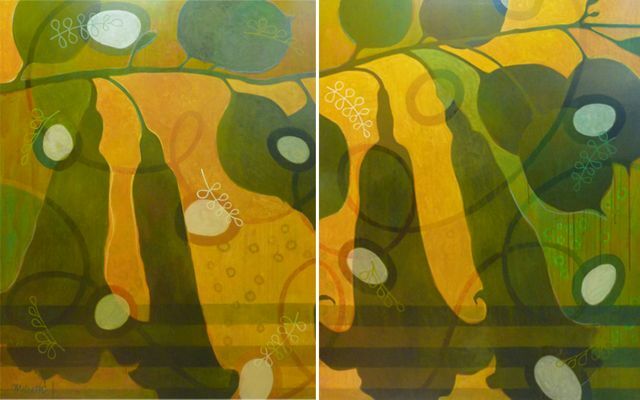 Each painting grows through a process of layering colors and repeating forms. Playing with unique color combinations, and discovering new relationships among the layers is the adventure I enjoy with each piece. 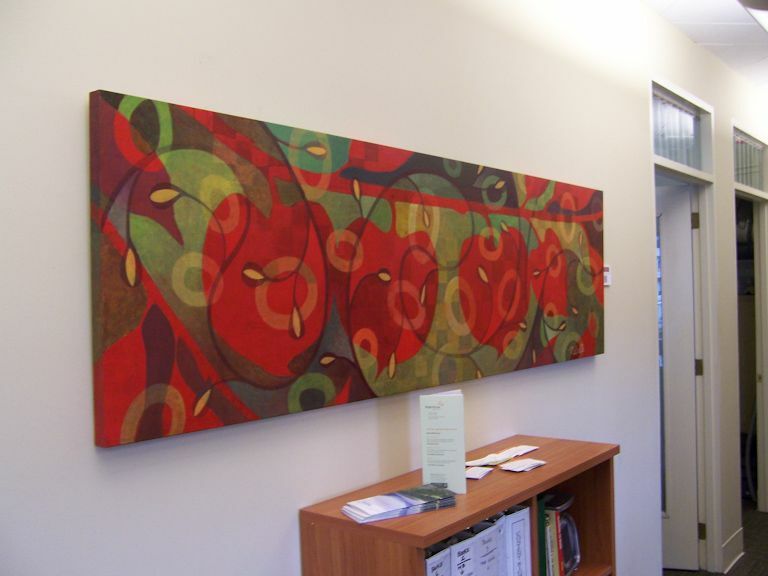 What makes Susan’s “Bloom” series unique is her combination of technology and traditional painting technique. “Red Seed” was the first piece inspired by her use of Brushes, a painting application on her iPhone. This app allowed her to play quickly and freely with colors and layers. These paintings are the ﬁnal expressions of this series of iPhone studies. Susan has further integrated technology into this exhibit by posting a mobile tag (QR Code) with each painting to provide in-depth information about each piece. Be sure to download a QR Code Reader App and bring your smartphone for this comprehensive experience. If you don’t have a smartphone, you can watch two videos explaining her process here: “Midnight Angels” and “Dream Garden.” Just for fun, watch Susan create a painting in 13 seconds. Read more about her art and process on her blog. 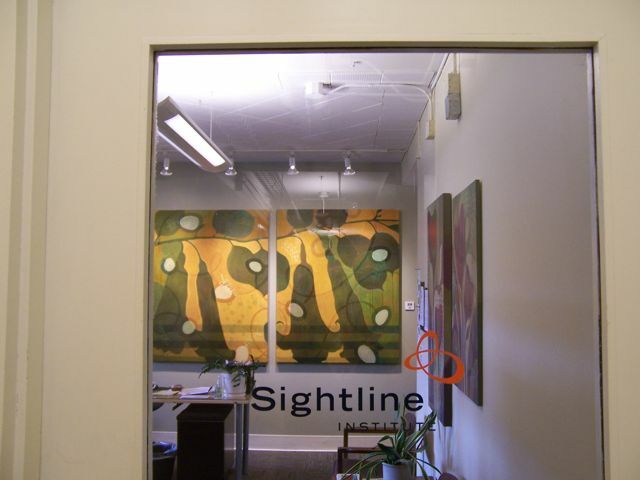 To view Susan’s art at Sightline, visit the office between 10am and 3pm on weekdays through the end of June. All works are available for purchase. Contact Susan directly at susan (at) susanmelrath (dot) com. 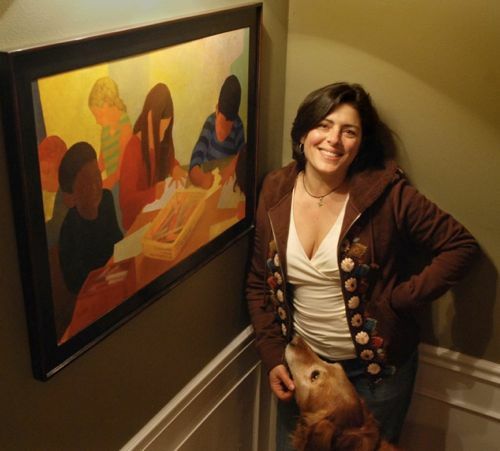 What thoughts about sustainability are inspired by Susan’s art (and by art in general)? Share yours in a comment.